So I'm a bit gold obsessed at the moment - gold everythaaang! It just looks so damn good with the summer tan, sparkles and details. Got some new nails done at En härlig salong again and I'm so happy with the results. I chose to cut the nails a bit, my last red nails were so freakin' long. I like this lenght for now, but will probably keep them growing a bit longer again. 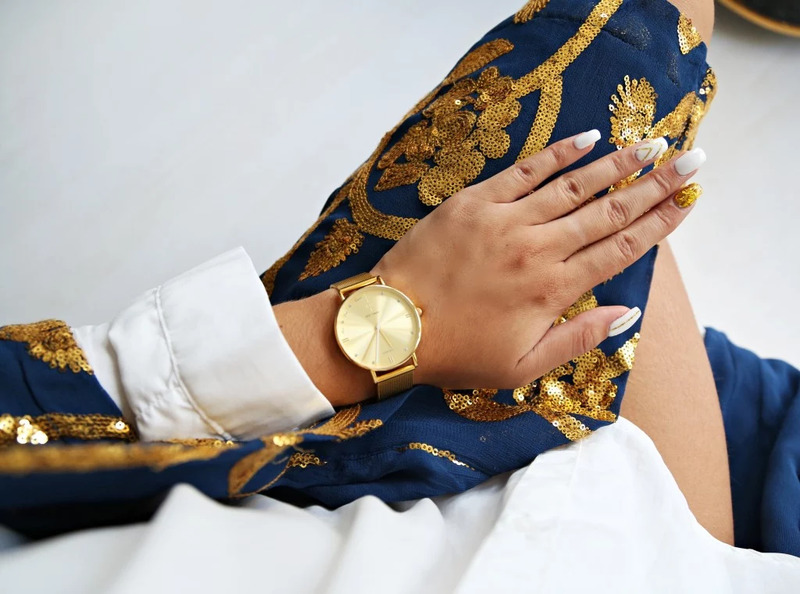 Pairing the white and gold deets with my fav flawless watch and unique kimono.